Red velvet cupcakes are the first cupcakes I ever made from scratch. I love making these for the little people in my life, like my nieces and nephews and the not so little people like Jeff and I. The best part about these… they’re kind of chocolaty… tasting a lot like a cocoa cake. 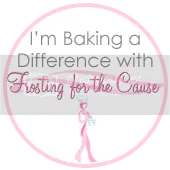 Over the years I’ve tried different recipes and found Deb Perelman of Smitten Kitchen to have the tastiest one yet, coupled with my vanilla bean frosting make these sweet moist cupcakes a hit at any party. Preheat oven to 325. Line cupcake pan with baking cups and set aside. In a large bowl whisk together cake flour, cocoa and salt and set aside. In the mixer bowl, on medium speed add oil and sugar blending together well. Beat in eggs one at a time. Adjust mixer speed to low, begin adding red food coloring. Add vanilla mixing well. Next add the flour mixture while alternating with buttermilk, doing this in two separate batches, mixing ingredients well. Finally place baking soda in a small dish stir in your vinegar, while mixer is on low-speed add to batter and beat for 10 seconds. Pour batter into baking cups filling 3/4 full. Bake for 25 minutes or until a toothpick comes out of cupcake clear. Let cool for up to an hour prior to frosting. While cupcakes are baking begin making your frosting. Red Velvet cupcakes are traditionally served with cream cheese frosting, however I love them with this classic vanilla bean and I think you may too! Combine the sugar, egg whites, and salt in the heatproof bowl in your mixer. Set over a pan of simmering water. Whisk constantly until sugar has dissolved and mixture registers 160 degrees on a thermometer. Return bowl to mixer and beat on medium speed until stiff peaks form, let mixture cool, about 10 minutes. Mix again on medium speed, add butter, 1 tablespoon at a time, mixing well after each addition. Be sure to scrape down the sides of bowl as needed, until mixture is smooth. Mix in vanilla bean paste extract blending well. Meanwhile, reserve 1 cup of frosting for decorating cupcakes with flowers. Mixing ½ cup frosting with 2 drops of pink food coloring, mixing well until frosting is completely colored. Repeat the process with remaining ½ cup frosting and yellow food coloring, incorporating well until color is achieved. Frost your cupcakes with vanilla bean frosting in a swirling motion. Fill pastry bag with pink frosting, piping a medium-sized flower top and center of cupcake, finishing with a dollop of yellow frosting centered atop of pink flower. Your incredibly yummy red velvet cupcakes dressed in vanilla bean frosting are red carpet ready! These defiantly deserve an Oscar nomination or at least a seat at your at your table. These sound utterly decandant and amazing. My son loves red velvet cake and I know he would enjoy these. Thanks for sharing. Yours are beautiful. Delicious and pretty enough for the Oscars! I need to try this recipe.